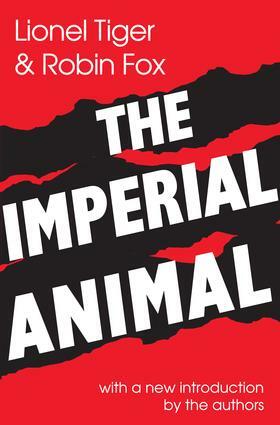 The Imperial Animal offers a compelling perspective on the controversy over humans and their biology. This now-classic study is about the social bonds that hold us together and the antisocial theories that drive us apart. The authors divulge how the evolutionary past of the species, reflected in genetic codes, determines our present and coerces our future. This book gives us a direct and intimate look at how we see ourselves. It offers insight into our politics, our ways of learning and teaching, reproducing and producing, playing and fighting. The authors assert that the purpose of this book is twofold: to describe what is known about the evolution of human behavior, and then to try to show how the consequences of this evolution affect our behavior today. To do this they draw from numerous disciplines—zoology, biology, history, and primatology, among others. In the new introduction, Tiger and Fox outline then- reasons for originally writing the book as well as the process they used to do their research. The Imperial Animal is a classic work that will continue to be of interest to sociologists, zoologists, biologists, and primatologists.